In 2009 Spanish designers Inés Cuatrecasas and Marc Oliver started fashion label Mille Collines in Rwanda targeting high-income local residents. Today the company operates one store in the capital Kigali and four in Nairobi, Kenya. Outside of Africa, Mille Collines products are sold in the UK, Spain and the US. Cuatrecasas, the company’s CEO, tells Dinfin Mulupi about Rwanda’s growing retail sector and why she believes “the hunger for African products will only grow stronger” in international markets. What inspired you to establish your business Mille Collines? I travelled to Rwanda for the first time in the summer of 2005 with my mother, who runs a small NGO. While exploring the country, I met a dressmaker that would change the course of [my] life forever. Her name was Antoinette. She was strong, passionate and restless. We connected really fast. She had worked all her life as a dressmaker and was then involved in teaching… sewing. I was incredibly inspired by Antoinette and her determination to share with me the talent and skills of Rwandan artisans and tailors. In 2008, I returned to Rwanda with Marc [Oliver], my partner in the business, and we created the first collection. The result turned out to be more positive than we could have expected. Products were tested with success and a year later we founded the Mille Collines brand. How vibrant is the retail industry in Rwanda? Rwanda’s retail business has seen fast growth in the last five years. Three new shopping malls are currently under construction in the city of Kigali and several high-end medium retail businesses have been established in Rwanda. A very good example is the high-end bakery and coffee place Brioche, which opened its first establishment two years ago and now has four branches in the city. As more retail companies develop… customers will [find] in Rwanda… broader options and therefore more cash will be spent in the country as opposed to abroad. You operate four stores in Nairobi. Why did you decide to expand the business to Kenya? Since the start, our company has bet for the African market as one of its main strategies of distribution. We distribute in the African market with our own stores, a channel that allows us to control the visibility of the brand, the message and the quality of the service. We opened our flagship store in Nairobi at The Village Market in the year 2010. Kenya was and still is our first African market. We currently operate four stores in Nairobi and one in Kigali. We will open two more stores in Nairobi before the end of the year. Our leitmotiv is “Africa first” in every step of the supply chain; from our sourcing, designing to distribution. What other countries in Africa do you have in mind for further expansion? We are considering other African countries that have markets that are equally or more mature than Kenya. We are currently focused on developing a strong chain of stores in Nairobi that can set up a model that we can then replicate in similar capitals across the continent. Rwanda is often portrayed as an easy place to do business. How would you describe your experience doing business in Kigali? Rwanda has successfully implemented a support system around businesses. Today, you can establish a company in one single location, the Rwanda Development Board, in less than a day. There are big incentives for medium to large foreign companies investing in the country and the levels of corruption are very low. We have never experienced corruption in the five years we have been operating in the country. Tell us more about the challenges of running this business? One of them is the cost of transport which is still very high in Africa, especially in Rwanda, a landlocked country. Together with that, logistic procedures are very complex and time consuming which makes transport of goods a complex and slow process. A project has been signed to build a railway that will connect Kenya, Uganda and eventually Rwanda. That would lower the costs of import and export and place Rwanda as a potential candidate as the logistics centre between East and Central Africa. What can African-based fashion brands do to gain a bigger market share internationally? 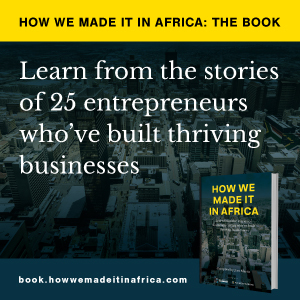 There are so many entrepreneurs today working with local artisans, building brands that help local communities, and creating a product that reflects the people who are making it. We are proving that high-end clothing can be produced in Africa. African fashion is not only aesthetically attractive to the western markets but it is also now going through incredible momentum, and this is just the start. We strongly feel that African-based designers and brands should focus all their energies in growing local markets in the continent. [They should] align their businesses and develop in an environment with less competition, a fast growing middle class and an existing loyal customer that is increasingly demanding locally made high quality products. These companies will… be a part of a pool of brands that 10 years along the line will have huge appeal for those international markets abroad. By then their operations will be solid and they will be ready to expand outside of the continent. The hunger for African products will only grow stronger.